Read more about Legacy 2 The Ancient Curse on our blog! How are your intelligence and memory going? The time has come for you to test your intelligence and memory. How? By taking part on a challenging 3D puzzle. You better keep your eyes open, as the solution lies ahead of you most of the times. Are you brave enough to set on an adventure without going back? 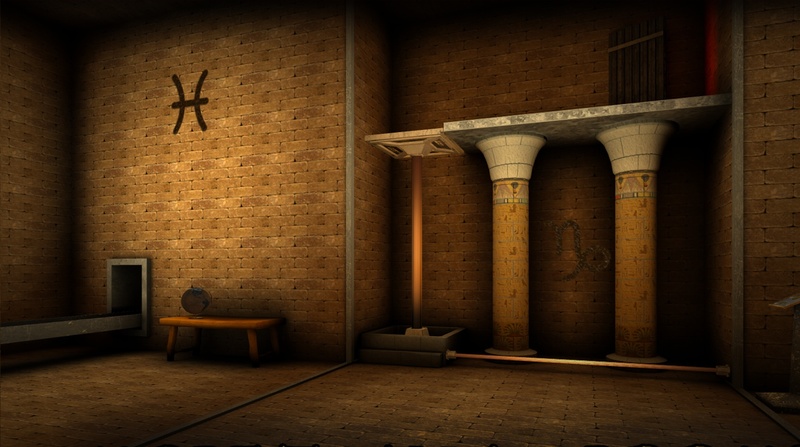 Play Legacy 2 The Ancient Curse on PC and Mac with BlueStacks an escape the great pyramid, playing the role of an archaeologist who goes in a journey searching for his missing brother in an Egyptian ancient world packed with thrilling puzzles to solve. Enjoy the beautiful visuals and go from puzzle to puzzle picking up items that will try to make your life easier. But again, no promises! Go into rooms filled with clues and complete the many quests that you are about to face, looking for hidden objects and new possibilities of advancing in the game. Hopefully, when the time comes, you will be able to rescue your brother before it is too late. But only maybe! Download Legacy 2 The Ancient Curse on PC with BlueStacks and see how intelligent you can be at this ungrateful mission! Why play Legacy 2 The Ancient Curse on Bluestacks? Play Legacy 2 The Ancient Curse. Redeem your BlueStacks Points. Get rewards! Legacy 2 The Ancient Curse is a game which exemplifies the thought BlueStacks put into developing keyboard controls that feel intuitive and responsive. 6 You're all done! Enjoy playing Legacy 2 The Ancient Curse on your PC. Your task is not easy to perform. You know that! This time, you are going to need any help you can find, which transforms the new and improved BlueStacks 4 into something consider using. After all, it is the most powerful and fastest gaming engine ever developed in history! Download Legacy 2 The Ancient Curse on Windows 7, 8, 10 with BlueStacks and add incredible power-ups to your gameplay, which are certainly going to give a better fighting chance to find your brother still alive. Be the one responsible for making all the calls and decide about everything regarding your gameplay, from the interface skin to your command scheme. After, aren’t you the one playing? So you should also be the one deciding, don‘t you think? Take your entire gaming experience to an entire new level using the new and improved BlueStacks to get there! Some help to solve your mysteries. A good way to try to solve the mysteries you will find in your way is sharing the problems with other players. Play Legacy 2 The Ancient Curse on PC with BlueStacks and instantaneously start streaming your game live with just one click, via Facebook Live, Twitch.TV, Twitter or any other social network you prefer using. By doing that, you get the perfect opportunity not only to show off your game, but also interact with other people and even make new friends. Socialize your game right now by broadcasting your entire experience in real time!